With the recent release of the Teaching in the Savior’s Way booklet and the announcement of teacher council meetings, Sunday School presidencies have an increasingly important role in elevating teaching and learning throughout the Church. When teachers learn to teach like the Savior, they help members to learn and grow for themselves. Members of the presidency can bless all members by helping teachers understand the simple but powerful principles in Teaching in the Savior’s Way. 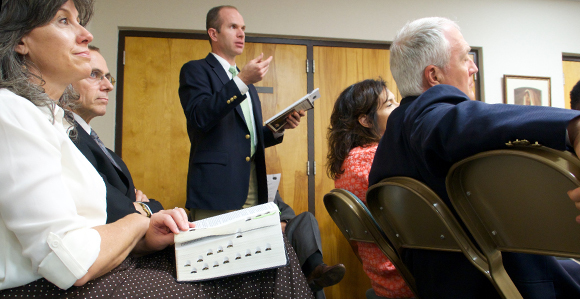 Sunday School leaders can bless teachers by effectively leading teacher council meetings where they can learn and counsel together about teaching like the Savior. Learn more about the effort to improve teaching at teaching.lds.org.